Philadelphia is known for many things, such as its eclectic and tight-knit neighborhoods, kids splashing in Love Park’s fountain, cookouts in Fairmount Park, and, most recently, its historic curbside recycling diversion rates. 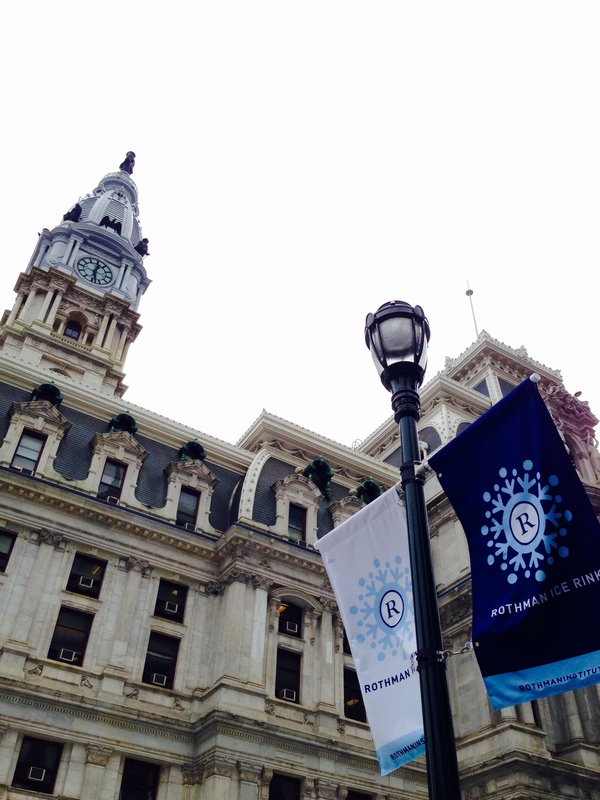 On November 13, Philadelphians converged on City Hall’s Dilworth Park for an outdoor celebration, media event, and information fair as the city recognized America Recycles Day. During the event, the Philadelphia Streets Department’s Recycling Office announced that 128,000 tons of recycled materials were collected through the city’s curbside recycling program, buildings, and public spaces in fiscal year 2014. That number is impressive, but even more so is that the total tonnage represents a 155 percent increase in recycling since 2008. This event is LevLane’s most recent endeavor in recognizing the important contributions of the citizens of Philadelphia who are responsible for this historic milestone. Working with the Streets Department and its Recycling Office since 2007, LevLane’s latest iteration I’m Behind Recycling is a media campaign that shows the Philadelphians who are leading the charge by recycling at home. 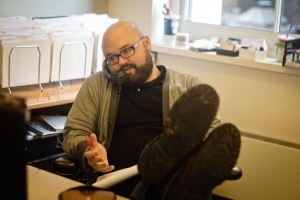 Additionally, LevLane developed Facebook and Twitter pages for the Philadelphia’s Recycling Office to engage people in real time – to keep them up to date with the latest information and statistics, and to make answering their questions as quick and easy as possible. By sharing articles, highlighting recycling events, and sharing expert commentary, these pages help establish the city as a knowledgeable resource, leader and advocate for recycling. Phase two of the I’m Behind Recycling campaign serves as a refresher course on what is and isn’t recyclable. We’re so eager that we’re recycling items like plastic bags, tissues, greasy pizza boxes, and light bulbs, among other things, which can hinder the recycling process, damage machinery, and put sanitation workers at risk of injury. 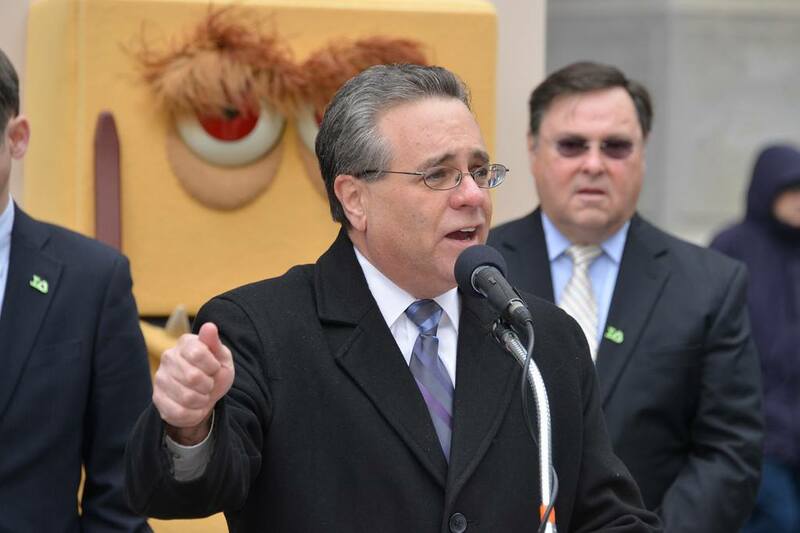 Philadelphians are doing a great job of recycling, but the bottom line is this: we need to know the ins and the outs. We’ve been behind recycling for a long time, and with our collective efforts and an understanding of what’s recyclable, it won’t be long before Philadelphia achieves Mayor Nutter’s goal of becoming the Greenest City in America. 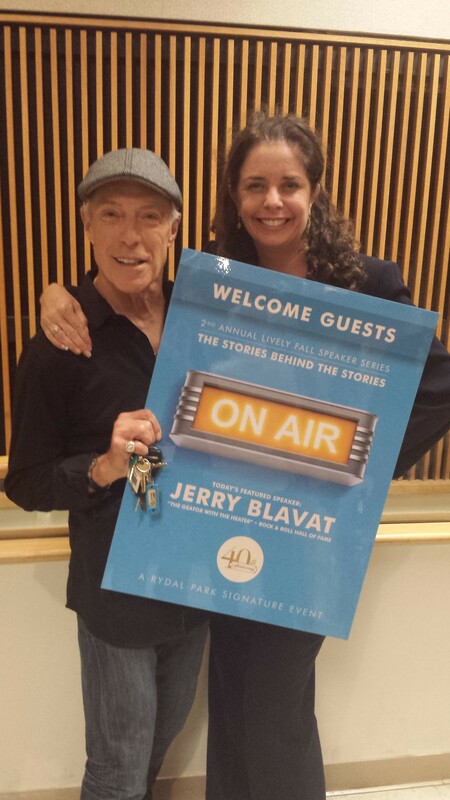 Jerry Blavat, Oldies music DJ and Rock and Roll Hall of Fame inductee, charmed the audience at Rydal Park. He’s pictured here with Rydal’s Sarah Jolles. The events have packed Rydal’s auditorium with prospective residents and resident ambassadors. The program was launched as an effort to draw local residents who could be strong candidates for joining Rydal’s community. The five-part series provides casual opportunities for attendees to experience some of Rydal Park’s enlightening events and desirable amenities, while meeting engaging speakers and taking in a tour. In creating the Speaker Series in June 2013, LevLane integrated marketing and PR tactics to attract qualified sales leads for the senior community and to effectively communicate the community’s unique sense of “spirited living”. Rydal’s target demographic remains loyal to traditional media, and the featured speakers have been prominent with local media outlets for many years. 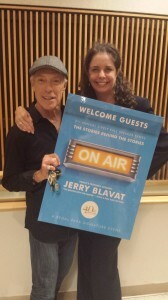 Oldies DJ Jerry Blavat spoke to the crowd about growing up in Philadelphia and the music scene, sharing stories about big name entertainers, local radio and nightclubs. At 74, he told the seniors he stays young with regular exercise and keeping a positive outlook on life. The speaker series was promoted with a direct-mail piece targeted towards local prospects, in addition to media outreach and postings on RydalPark.org and its Facebook page. Sarah Jolles, executive director of Sales and Marketing for Rydal Park, called the inaugural series last year a huge success, the program is now referred to as a “signature event.” The events last year trumped Rydal’s previous highest direct mail events by 40% and brought in the most repeat inquiries among all direct mail events last year. “I’ve been thrilled. This series has just gone so great,” she said. With the concurrent celebration of its 40th anniversary this fall, the 2nd Annual Rydal Park Lively Fall Speaker Series featured: Glen Macnow, longtime sports radio 94WIP radio host; Lu Ann Cahn, NBC10 reporter and eight-time Emmy Award winner; Jerry Blavat, oldies radio DJ and Rock & Roll Hall of Fame inductee; Clark DeLeon, longtime Philadelphia Inquirer columnist and Philadelphia historian; and Dan Rubin, Philadelphia Inquirer deputy metro editor/Enterprise. 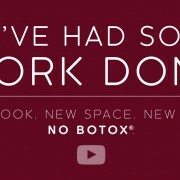 It was known only as barren, uninviting and often restricted. Now, it is Center City’s lively new centerpiece around Philadelphia’s City Hall. After years of construction, Dilworth Park finally became a reality in September, attracting local workers, families and tourists to the transformed space with more improvements soon. 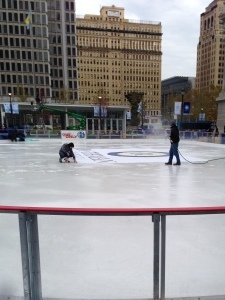 When the Center City District needed a partner to brand and promote Dilworth Park, it chose LevLane. Another cool project for a client we’ve loved for more than 10 years. 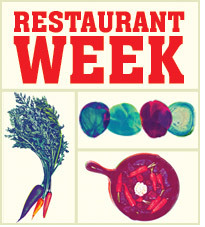 Levlane has helped promote CCD’s Restaurant Week, Lunchtime Concert Series and other special events. LevLane was excited to help Center City District position Dilworth Park as the new place to live, work and play in the city. It’s the stage for quiet gatherings for people from all sections of the city, for children to play in the fountains, and for entertainment and family fun. Dilworth also would be the new gateway for hordes of commuters using mass transit with the dramatically improved underground entrances to SEPTA’s subways and trolley lines. New name, more action. CCD turned Dilworth Plaza from the inaccessible, multi-level mass of hard surfaces around City Hall into a fresh, green well-maintained public space with the new name, Dilworth Park. It features expanded public space with groves of trees and a lawn, a café operated by famed local chef/restauranteur Jose Garces, a programmable fountain that will become an ice skating rink in the wintertime, and space for plenty of benches and chairs for people to hang out. 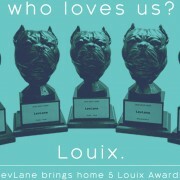 LevLane’s objective was to develop a multimedia campaign that would reach local residents and workers, young professionals and families with young children, as well as public officials, civic leaders event planners and donors. We created fresh new identity for Dilworth Park to attract locals and encourage them to take advantage of the new cafe and events. From lifeless in the past to lively today. LevLane created new branding that positioned Dilworth Park as a place with energy, a place with planned entertainment and arts and cultural events year-round, like weekday happy hours with a DJ and movie nights under the stars. The campaign creative is evident in newspaper, magazine, digital and radio ads, outdoor signage and giant banners, transit signs and bus wraps, brochures and event promotional materials. “LevLane played a huge part in developing all of the signage and marketing for the park. It was a long road to get everything done, but another job well done by our team!” said Josh Lev, account director for CCD. “The branding and promotion of the city’s newest was a great opportunity to demonstrate our creative and media capabilities. We were happy to support a project that would be so visible and positive for Philadelphia.” Along with Josh and Stephania Marsico from account services, LevLane’s team included RJ Cassi, Evan Monsky, and Gabby Shirdan. Center City District works year-round to ensure that Philadelphia’s downtown not only looks welcoming, but also is brighter, safer and more accessible. The $55 million Dilworth Park project was the fourth and most prominent city park to be re-developed and managed by CCD. All renovations are expected to be complete in November. Live @ Lunch — Philadelphia’s center stage shines every Wednesday afternoon with a showcase of local music, dance & performing arts. Style Pop – Thursdays at Dilworth Park, 11 a.m. to 7 p.m. Dilworth becomes a chic, cutting-edge designer pop-up market with designer apparel, accessories & crafts. Grooves in the Grove – Every Friday and Saturday, 11:30 a.m. to 1:30 p.m. pack a brown bag lunch or grab some treats from the café and settle in for some shoulder-bopping, hip-swinging, head-bobbing tunes. Octoberfest – Saturday, Oct. 18 and 25 — This fall festival will fill the park with a series of fun activities & games, plus a social 21+ beer garden.